The well-used phrase “work/life balance” seems to suggest there is an official ideal or calculation as to how much time should be spent working and living. Of course this cannot be true as everyone’s aspirations are so different and are created out of their personal circumstances. So what do you take into consideration when trying to assess your ideal work/life balance? Do you embrace or dread social situations? a) You can’t wait for the next night out with friends and your social calendar is looking good for the foreseeable future. Thank goodness for babysitters! Guilt Fuelled Hoarding: Are You A Victim? The accumulation of clutter can be caused by a need to justify wastefulness. Over the years, possessions have been bought that are no longer useful or needed but they still lurk in homes, taking up vital space. Many people find it difficult to do away with such items, be it furniture, clothes or toys, simply because hard-earned cast was spent – or wasted – on their acquisition. Hence the concept of Guilt Fuelled Hoarding begins. People find it difficult to part with their unwanted possessions because it makes them feel guilty for wasting money. Happy Mother’s Day To All Our Empowered Mums And Mumpreneurs! All mums are truly special: for everything they do for their families and the love they share. Celebrate all you do as a magnificent mum and take this very rare opportunity to enjoy a day of relaxation with your family! GET MOTIVATED Great Britain 2011 is a spectacular seminar that has been created to bring people from all walks of life together for a day of inspiration, motivation, rejuvenation and education! Whether you are an existing mumpreneur, a mumpreneur-to-be, a working mum or a stay-at-home mum, this is a not-to-be-missed event! 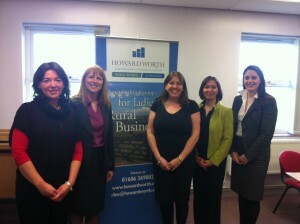 Earlier this month, Tracey was delighted to attend the annual Rural Business Women Training Day as a key guest speaker. The day took place at Reaseheath College, Nantwich and was attended by thirty ladies who were given the opportunity to learn about self-generating PR for business and how to maintain a healthy work/life balance. Rose Rowland gave a great insight into holding down a successful career whilst being a busy working mum. On March 8th 2011, women throughout the world will be celebrating International Women’s Day. This year sees the centenary of the global day, which celebrates the economic, political and social achievements of women past, present and future. The last century has seen women throughout the world dedicated to making significant changes to improve the lives of women. These dedicated women have fought for momentous and groundbreaking changes that provide many women throughout the world with the rights they have today. As discussed in recent posts, working from home offers huge advantages for busy mums. Not only can mums benefit from spending quality time with their children, but they can continue to use their professional skills and contribute to the household income in a more flexible capacity rather than being compromised by the constraints of traditional employment. Do you find you are constantly attending to the needs of others and never addressing your own? If you continually give in to the demands of others but would like to start fulfilling your own needs, freeing up your time and taking care of yourself, then now is a good time to learn the power of saying ‘No’. Saying ‘no’ to someone can be daunting and difficult to do but if what is being asked of you will take up your valuable time or you feel uncomfortable taking on such a request, you should be feel confident enough to refuse them.